Joel Schlessinger MD and his son, Daniel, were recently awarded the patent for their FixMySkin Healing Balm with 1% Hydrocortisone. This unique formula was developed with hydrocortisone to not only moisturize, but also treat and heal the skin. A quick swipe will relieve itching and heal dry skin, chapped lips, psoriasis, eczema, insect bites, poison ivy, seborrheic dermatitis and allergic skin reactions to cosmetics and other products. This unique balm was created to soothe chapped fingers, Joel Schlessinger MD explains. FixMySkin Healing Balm was invented seven years ago when young Daniel Schlessinger struggled with dry, chapped skin on his hands in the middle of winter. Daniel put lip balm on his chapped fingers and wondered if there was a balm made specifically for this concern that really worked. His father, board-certified dermatologist and cosmetic surgeon Joel Schlessinger MD, and he were made it their mission to find out. After thousands of hours of research, product development and testing, FixMySkin was born. Joel Schlessinger MD and Daniel worked to find a cosmetically elegant formula that delivered hydrocortisone deep into the skin. Additionally, they formulated the balm with a special combination of waxes that allows the product to remain solid even when warm so it won’t melt in a purse or pocket. Joel Schlessinger MD says the creation of FixMySkin has been a great learning experience for Daniel. FixMySkin Healing Balms with 1% Hydrocortisone come in vanilla or unscented varieties and they are available in three convenient sizes for the face, lips and body. Dr. Joel Schlessinger and a few of his staff members attended a meeting last week in Los Angeles where they spotted several celebrities. The staff traveled to Los Angeles to learn about a new clinical research trial when they happened to run into several celebrities at the Beverly Hills Hilton. Halle Berry and Tom Hanks were at the hotel for an event surrounding the release of their newest movie, Cloud Atlas. Other celebrities that were at the hotel at the same time as Dr. Joel Schlessinger and staff were Ben Whinshaw, Susan Sarandon, Hugh Grant, Cedric the Entertainer and Kevin Connolly. The Beverly Hills Hilton was also the hotel where famed singer and actress Whitney Houston passed away last February. According to Dr. Schlessinger, the room she was found in, number 435, is no longer available for rent and has the room number taken down. 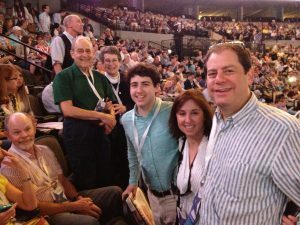 Dr. Joel Schlessinger and his family are large supporters of cinematic arts – learn more about their involvement in Omaha’s local independent film theater, Film Streams, here. See more photos of Tom Hanks and Susan Sarandon at the Beverly Hills Hilton on Dr. Joel Schlessinger’s Flickr photostream. 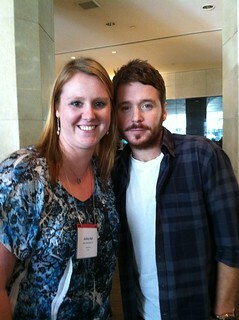 Have you ever had a celebrity sighting? Tell us about it in the comments. Although autumn has just begun, it only means that winter is right around the corner. Winter season can wreak havoc on your skin, leaving it dry, itchy and cracked. Our fingers and toes are especially susceptible to these conditions. 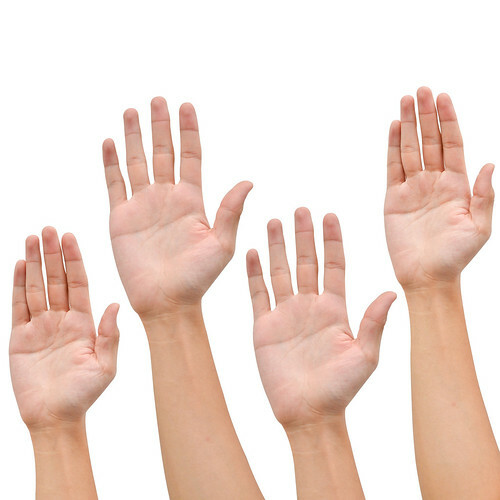 This leads us to one of the most common questions Dr. Joel Schlessinger is asked – why do my fingers crack in the winter? This itchy, uncomfortable and sometimes painful condition can be treated with the FixMySkin Healing Balms with 1% Hydrocortisone. These medicated healing balms soothe dry and irritated skin. With regular use, you’ll have relief from pain and a faster healing time. Dr. Joel Schlessinger and his son, Daniel, invented these balms to help fight dry, itchy skin. In fact, Daniel Schlessinger invented the idea of these balms while he was treating dry, cracked skin on his fingertips. 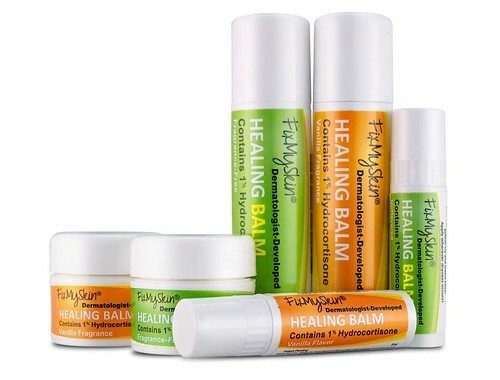 Purchase FixMySkin Healing Balms today or learn more about these pocket-friendly medicated healing balms here. 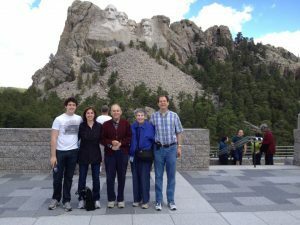 Dr. Joel Schlessinger just returned back to Omaha after a vacation to Mount Rushmore and the Grand Canyon. Dr. Joel Schlessinger, along with his wife, son and parents spent the last week hiking and exploring these scenic parts of America. “While I was hiking in the Grand Canyon, which is about 8000 feet above sea level, I took more precautions than I would at sea level as the cloud cover isn’t as much. This leads to many more sun risks,” Dr. Joel Schlessinger said. High altitudes can be quite deceptive–at higher altitudes, many of the sun’s harmful rays are not filtered as well by the atmosphere. Temperatures are cooler but there is an increased light intensity. This can lead to serious skin burns that can cause premature aging, hyperpigmentation and skin cancer. Dr. Joel Schlessinger and his family followed a strict sun protection regimen to keep their skin protected from the harmful rays at high altitudes. This included the best sunscreen for high altitudes and sports, sun protection hats and sun protection clothing. As for sunscreen, Dr. Joel Schlessinger chose three of the best sunscreen choices for active lifestyles. He used EltaMD Clear SPF 46 and La Roche-Posay Anthelios 60 Ultra Light Sunscreen Fluid alternately on his face. EltaMD Clear is lightweight and oil-free, perfect for any occasion where sweating may be an issue. Anthelios Fluid is also lightweight and absorbs quickly into the skin, leaving a matte finish. He also used EltaMD Sport SPF 50 on his arms and neck. This is the best sunscreen for athletes and those who maintain an active lifestyle. Perfect for hiking, the Schlessingers used this sunscreen to protect their skin while exploring the Grand Canyon and Mount Rushmore, as it is sweat- and water-resistant. Dr. Joel Schlessinger also wore a Tilley Hat and a Columbia UPF shirt for extra coverage. Tilley is a brand of sun protection hats made from highly researched fabrics that help to protect your skin from 98% of the sun’s damaging rays. As for sun protection clothing, look for any clothes that have a UPF rating. UPF, or ultraviolet protection factor, measures the UV protection provided by fabric. Don’t forget about your eyes – UV rays can also cause eye damage, including cataracts, macular degeneration, photokeratitis and more. To protect his eyes, Dr. Joel Schlessinger wore a pair of polarized sunglasses to safeguard against damaging UV rays. In addition to sunscreen, sun protection hats and sun protection clothing, it’s important to avoid the sun during peak hours. Between the hours of 10AM and 3PM, try to stay out of direct sunlight. “My son and I went down to a place 3 miles into the canyon and started at 3PM, arriving back to the top at 6:30PM to avoid the heaviest sunlight — and to avoid a burn!” Dr. Joel Schlessinger said. Dr. Joel Schlessinger recommends this extensive sun protection regimen to help save your skin from damage at high altitudes. What outdoor activities do you partake in that require extra sun protection? This weekend, Omaha was host to the annual Berkshire Hathaway meeting, where Warren Buffett, the third richest man in the world, and Charlie Munger, his VP, talked to the shareholders for over 6 hours, answering questions ranging from economic to societal to parental issues. As always, their wisdom far exceeded what would be seen at a typical shareholder meeting of any company. Warren, just recently having been diagnosed with prostate cancer, spoke of his health on a few occasions, stating that he is ‘likelier to die at the hands of a jealous husband’ than from his prostate cancer. He intends to continue to work throughout his radiation therapy. Additionally, he stated that even if he does slow down a bit from it, that may keep him from making dumb decisions! Much of the discussion concerned risk and how to mitigate it, how to react to it and how to avoid it. I think that was framed to some degree by his own health issues and the fact that when the change of the guard happens, it will set up one of those potentially risky and concerning situations as to what his successor will do. To me, it was somewhat reminiscent of Steve Jobs’ speech at Stanford, but presented during the 6 hour session in little vignettes. He has always done this, but this year, the emphasis on risk seemed obvious. Charlie feels that the use of natural gas at low prices is stupid when it is going to be precious at some point and coal should be used first – Munger: “I think it is crazy to use up natural gas at these prices!” It is a very interesting concept as it speaks to the value of the asset being used versus the value it could be at some point in the future. Gold as an investment: As always, they have a very dim view about gold. They spoke about the cost of an investment that won’t ever produce versus one that will have the chance of producing benefit, such as farmland, etc. On the cost of gold vs Berkshire-Hathaway stock, gold was $20 an ounce and Berkshire was $15 a share when they started and now gold is $1600 an ounce and Berkshire is $120,000 a share. They feel the chief job of a CEO is to be the chief risk officer and determine whether the risk is worth it in allocation of capital and who to select as officers. Unfortunately, risk decisions are usually delegated to those who are least able to assess it with seasoned judgment. Instead of using intellectual maturity and the wisdom that comes from years of experience, it is farmed out to consultants or younger associates who talk in terms of gaussian curves or sigma values, but don’t understand the actual risks themselves. On why insurance is needed: Because there is always some contract that will end up with poor performance, so that’s why everyone wants insurance. The banking system in Europe is much more of a mess than the US because there isn’t an unifying system in place. While the EU is a start, it just hasn’t provided the unity of the US. Buffett repeated the quote from Henry Kissinger re the disunity of the EU: “Whom do I call if I want to speak to Europe?” This is the obvious advantage we have and will continue to have in the US over the EU. The question of how to predict risk of a driver and whether devices that are placed in cars to monitor drivers are accurate predictors was answered by Warren with the quote that it is something they are looking into, but they still have faith in the questions they ask on each GEICO application. He said that it is pretty obvious that his risk from driving 3500 miles a year is less than that of a 16 year old boy trying to impress the girls. They haven’t ever had much faith in business school education, but feel it is improving (“it started from a low base”). The silliest thing taught is investment according to Warren. Mathematically based investment going against revealed wisdom of elders is dangerous. The only two courses they think are effective are how to buy a business and how to value markets. Buffett: “When Ray Kroc bought McDonalds he didn’t think of the value of the options. He thought whether people would want to eat hamburgers. Business folks want to have an easy way to make a decisions,” but the schools aren’t teaching that. On wind and solar power: Wind projects make sense with subsidies but not without them. It is good as a supplementary form of energy but can’t be the base. People don’t want to have their lights turn off if it isn’t windy. On buying businesses to flip rather than to keep it: It is more fun to keep a business than to flip it, but that isn’t the model now. Best book: Benjamin Graham’s Intelligent Investor, especially chapters 8 and 20. Capital intensive businesses are still OK to invest in versus others with 20% growth because that type of growth is unsustainable. Don’t listen to the siren songs! Ebidta and other measures other than true earnings aren’t reliable (they want EBE – Earnings before Everything!). Someone asked about how they decide on purchasing a declining business (such as the newspaper business they recently purchased, the Omaha World Herald, and Worldbook Encyclopedia). Charlie said it goes without saying that a declining business has less opportunity that a growing business and it is impossible to state why to purchase one. On the other hand, they spoke of several businesses that have no earnings now, but had huge earnings over time. Question from a younger person: What is folly or unwise as an investment? Buffett said they haven’t ever bought a new issue because it can’t ever be as good given all the commissions/etc that have to be paid. “We try to avoid a big disaster. If there’s a large commission initially, then you won’t have an advantage.” Don’t think about industries where there are many competitors and you are not sure who the winner will be. Buffett said that there can even be problems when you have only ONE competitor, explaining that one of his first investments ever was in a gas station where there was another one across the street and because of this he had to go with the gas price that the other station had, limiting his profit margin for the entire life of the gas station. He went on to comment about ‘barriers to entry’ for a given business. How can you build a new version of Coke? Virgin Cola was a mistake, although it still could have been good. Lipitor is now unprotected and that reduces the barrier to entry for other companies, but no one is going to build a new railroad as it is too much infrastructure and the cost of recreating it from scratch would be astronomical. This is when he commented that Amazon will be very tough competitor in times to come for any retailer out there as they have that infrastructure and are in most people’s lives already with generally very positive comments about their service. On Apple and Google as investments: They wouldn’t buy either, but wouldn’t short them! They like investments where they have knowledge: “We have the reverse of an edge with technology.” With their recent purchase of significant shares in IBM, the chance of being way wrong is less than with these investments as they have a longer history with it and it is a solid investment. The railroad industry is much more efficient than trucking – 100 times cheaper! That is why the BNSF investment is such a good investment and will always pay off and stay viable. They feel it would be very dumb for the country to discourage railroads from spending money to invest in infrastructure of the US essentially by regulating them severely. Warren spoke about his personal office and what is on the wall. When he started out, he photocopied 6 events in history of stocks and put them on the wall (for a total of $6 expenditure). He discussed one of them, the Panic of 1901, which involved the railroads and control of the Northern Pacific by what has now become BNSF, which he owns. He also discussed a beer brewer, Samuel Bolton, who killed himself that day by jumping into a vat of his beer after losing heavily. His point is that we don’t want to jump into a vat of beer over something that may not be all that bad in the long run. (as evidenced by where we are now and the status of the railroads, etc). They spoke about the two new hires, Todd Combs and Ted Weschler, and how they are compensated. They have a base of $1 million a year in salary. They are in charge of $2.75 Billion apiece now and as he said, they could be making more than that if they were to be in other businesses, but they had motivational benefits of autonomy, applause (from their company) and decent compensation. He feels that they will do well as they get compensated 10% of their increase over the S&P on a three year basis for their funds. They get their first 1/3rd of it on the first year, but if it doesn’t hold, then they don’t get the second and third parts. Additionally, they are tied to eachother by only getting 80% of theirs and 20% of the other person’s, so they share information and help eachother in order to get maximal benefits for both. This is a genius idea. He remarked that most Wall Street people would starve on this compensation, but they have done great. There was a bit of discussion about growth per capita in the US and what it would look like over time. Their feeling was that 1% growth per capita is incredible and asking for 4% is too much and impossible. They discussed that annual income had gone from about $6,000 in 1930 to $48,000 now, which is absolutely amazing and can’t happen again, but if we go up 25% in 20 years, that would be great. They feel super pacs are not good and even though they can get your point across, they tend to lead to plutocracies. It is their view that democracies may have a natural progression to plutocracies. One person asked what they would do with $1 million dollars in order to get a return of investment of 50%. They said there is no easy answer, but it can be done. Then they talked about whether they would be in a good position with all they know to do it with that little an amount of money (it would be impossible with the huge amounts they have to work with now) and Charlie commented that Warren had to learn new things each decade to get better and retain his superiority. Warren commented that, “I don’t worry much about mistakes and think about it. I’ve learned more about basic investment policy and people over the years. That improves but not consciously. Learn from others as it is a much more pleasant way to learn (from their disasters).” Basic idea: Be a student of other people’s folly. Asked about his investment in the electric car company, BYD, Charlie responded that it will be slow in the US, but maybe more so in China and with fleets of cars/trucks. They talked about the CEO of BYD, Wang Chuanfu who started this after being an orphan in a peasant community. It now has over 100 million feet of space and he has won the equivalent of the Chinese Nobel prize. Having said that, they don’t think that even by 2030 there will be many electric cars in the US. As with most newer forms of technology, they will need subsidies to survive, but at present the electric car is an amazing feat and drives great. One question regarded mismanagement at Liberty Mutual (thank you Michael Lofgren for your edit) and the high compensation of the CEO despite this. Charlie said that this is crazy, but Boston has always had a strong history of egregious mismanagement and brought up the situation where Mayor Curley was elected mayor while serving a sentence in jail (one of many incarcerations for him). Charlie feels that Paul Krugman is a genius about the economic realities. They both feel that “every president wants fiscal virtue, but just not quite yet,” just like St. Augustine ( “Give me chastity and continence, but not just now.” ). It is their opinion that it is better to spend money now, but on good things like infrastructure (highways, airports, etc) that will help us in the long run. Charlie feels we need a Value Added Tax (VAT) in order to get our finances in order as it is better to take it initially and give back than to ask for it via a tax later. This was a particularly good (and positive year) for the meeting, with both Warren and Charlie in good spirits and with good things to say about the opportunities for Berkshire in the future. Thanks for reading this and let me know if you have any other questions.